Beat the crowds and enjoy the Blue Lagoon in the afternoon. Experience a Mediterranean sunset whilst cruising home. Swim, snorkel and relax in the cooler afternoon sun. 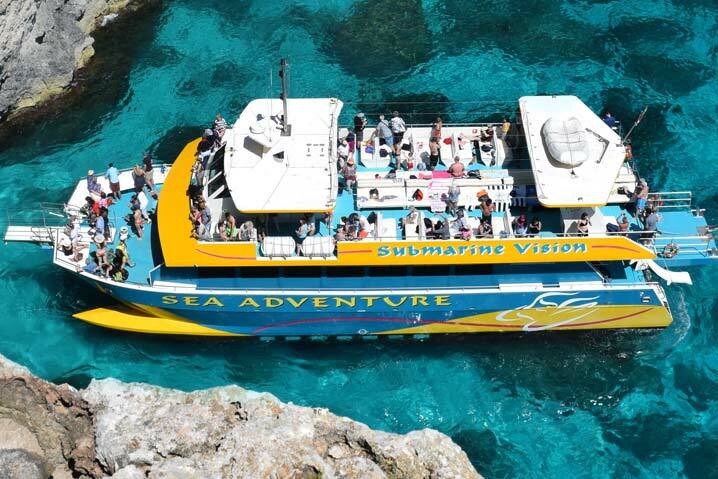 Discover the Maltese coastline and visit the Sea Caves. 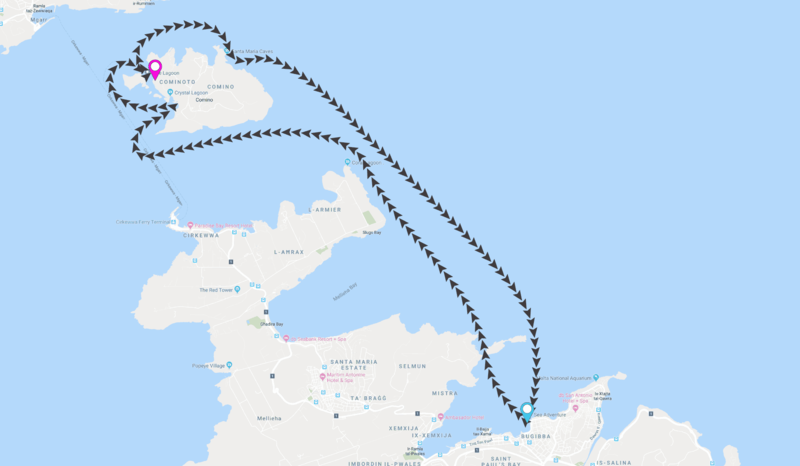 This excursion is perfect for those that want to beat the heat, the crowds and enjoy the Blue Lagoon later on in the day. Perfect for families and persons who want to snorkel, swim and splash around in the Crystal clear shallow waters and enjoy a stunning Mediterranean sunset on the way back! Enjoy the Blue Lagoon after the hot Mediterranean sun has warmed it all day long, making it especially tempting due to the water and sea temperatures being very similar. 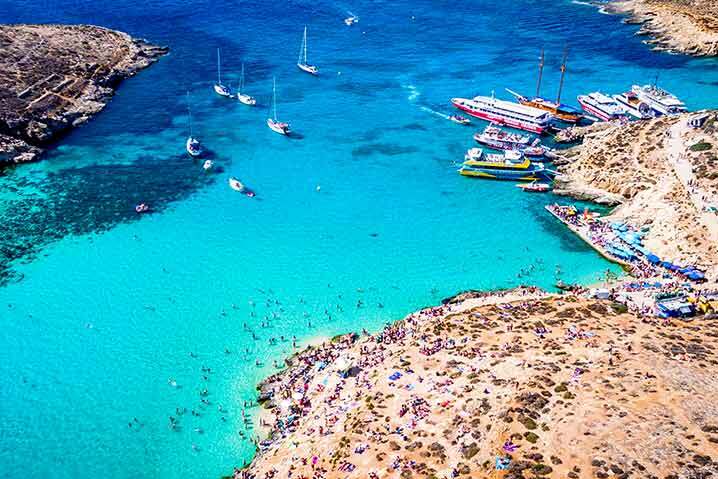 Arrive in the Blue Lagoon as most of the other tour boats head home and Comino is a more relaxing destination, and perfect to have a quiet drink or a bite to eat from our onboard kitchen. 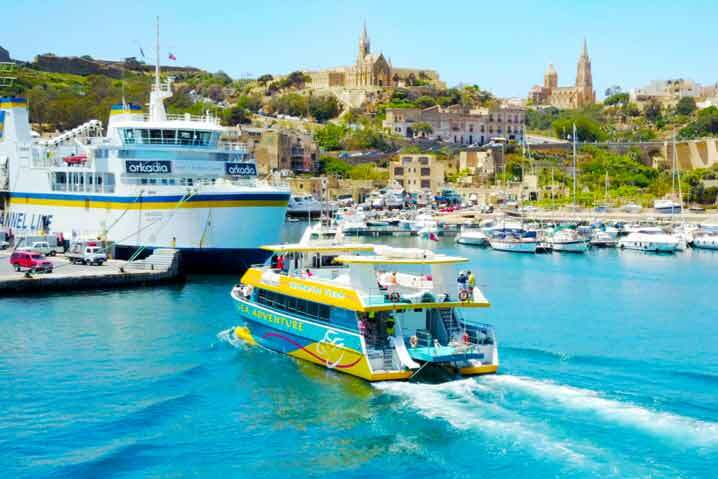 On the way back enjoy the sea caves and the magnificent Mediterranean coastline whilst the setting sun glints off the enormous Maltese cliffs. If you are lucky and look carefully, you may witness the legendary flash of green as the sun plunges into the sea. 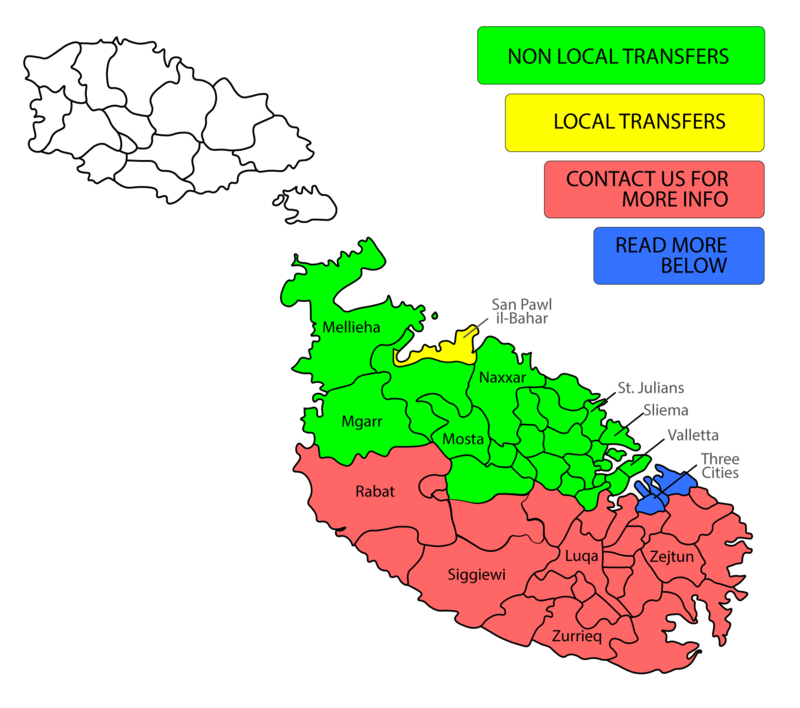 We reserve the right to change routes as well as start and end locations when weather conditions, shallows or other legitimate reasons so require. We will, as far as possible, inform passengers thereof in a timely manner. Check-in opens 1hr before departure. Check-in closes 15 mins before departure.